Zinal is a small traditional village at the end of the Val d’Anniviers valley. It is surrounded by the highest mountains in the Alps and is the place to go for people who love nature at its purest. 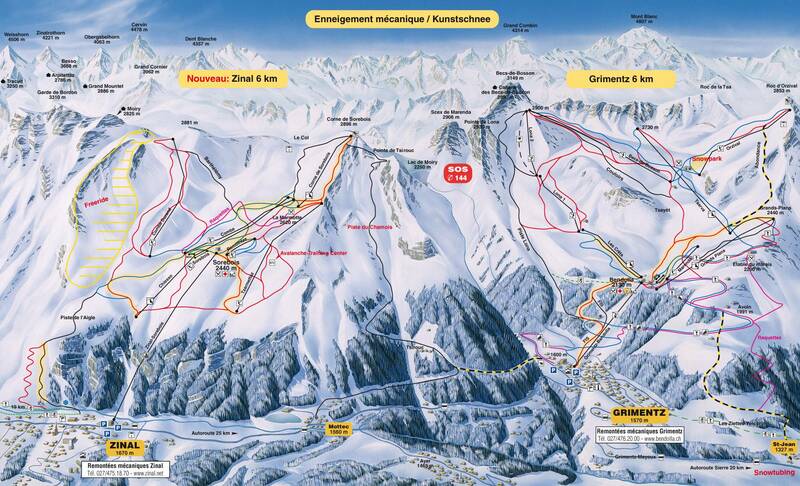 It has direct access to 70km of downhill skiing with 11 individual pistes, and because most of its pistes are above 2500m and there are snow cannons installed on the main pistes, skiing and snowboarding is assured throughout the season. The resort has good skiing for all levels with lots of wide open pistes offering plenty of challenges and off-piste skiing for intermediate and expert skiers, and nursery slopes equipped with snow cannons assuring good conditions all through the season. Other activities to enjoy during the winter includes Snow-shoeing, ice skating, a trip to the inside of a glacier and a training course in the Avalanche Training Centre. 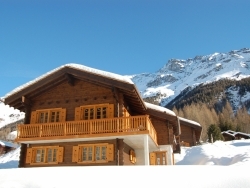 P>We've partnered with Ongosa, who recommend and book the best snowsports instructors and guides in Zinal for you. Zinal is a small village but there is still a range of restaurants to choose from, both mountainside and in the village. From fondue and artistically presented seasonal dishes to traditional Swiss food, you will find something to tickle your taste buds. Zinal isn’t a very lively resort like some of its neighbours so if it’s a quiet night you are looking for, a quiet night is what you will get. There are, however, a couple of traditional après options where you can experience the joy of skiing one minute and sipping wine the next. For a later evening, there is a bar that closes at 11pm weekdays and midnight at the weekend and a pub that closes at 2am. Throughout the summer in Zinal there are several alpine sports and activities to choose from as well as complete relaxation options. Activities include; gondola rides up the mountains, tennis, mini golf, guided tours, footpaths and mountain bike trails. Enjoy a round of golf at the world class golf course at Crans Montana or visit the largest thermal spa resort in the Alps at Leukerbad, both within an hour’s drive of Zinal.